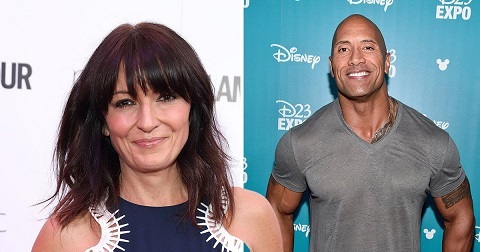 Dwayne ‘The Rock’ Johnson has offered Davina McCall some wonderful words of advice, after the British TV presenter revealed that she is keen to meet the former WWE champion turned actor. ‘It’s amazing to have somebody saying such complimentary things about you — I will keep a look out for her on Twitter for sure,’ The Rock confirmed after hearing about his new admirer. Her comments came after her recent confirmation that she has split from husband Matthew Robinson after 17 years of marriage. A hugely successful fitness mogul, Davina is hot on the promo trail for her 14th DVD, Toned in 10, while she’s become an inspiration to many as she posts workout videos and selfies to her massive 772k Instagram following. » ENJOY ETISALAT ONE DAY PASS-DOUBLEUP YOUR RECHARGE,BROWSE,CALL TO ANYNETWORK AND LOT'S MORE.